If only they could use their ideas for good. Like so many of us, I do quite a bit of shopping online. My latest purchase arrived and upon picking it up I noticed it felt light. My purchase was suppose to be 20lbs of broken lost misfit pieces of jewelry. 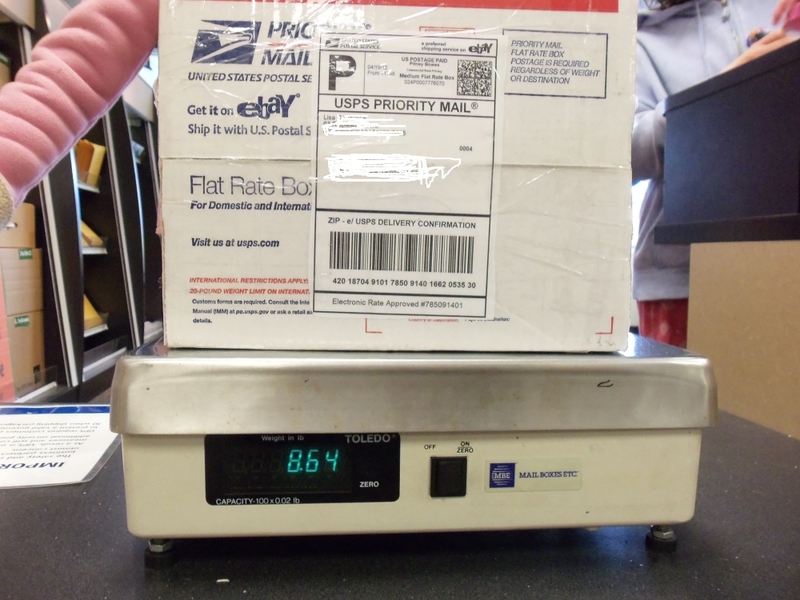 Sure enough when I put it on my postal scale it was 8 1/2 pounds. Far less than what I paid for. The key here was to not open it. Now flat rate boxes are genius. If it fits it ships for one arguably low price. The problem, no proof of the weight of the box. Would you notice if a box was a little light? I probably wouldn’t but in this case it was very very light. Upon contacting the seller I got the response I was expecting….”Hi, no way my scale is off by that much! I use this scale for all my packages and I have not had a problem with returns from the post office, I could see if it was off a couple of pounds but that’s a lot, if the package was not opened you can return it and I will gladly refund your money when i get it back. I will bring it to the post office and have them weigh it to just to compare it between your weight and mine. I do apologize for any inconvience”. (copied and pasted from actual response). Before I go on, note the ( I can understand if it was off a couple of pounds), are you kidding me, it should be 20 pounds, that is what I paid for. And how about the (I have not had a problem with returns from the post office), why would you there is no weighing for these. The real question is how many customers were taken and unaware. But I digress, lets go on. I imagine when she gets it back, (Lisa from Ebay), will try to say the package was in fact opened and I must have taken out some of the product. Now we all know I am getting my refund, oh yes I am. Not only did I not open it, I took it to UPS where I had the package photographed on their scale not just for proof but for this post. So the point of this post is to inform people of this blatant scam and to instill the importance of customer service. I will never purchase from this seller again, obviously. I would happily pay someone else more for the knowledge that I am dealing with an honest small business trying to make an honest living. It is the customer service that brings me back over and over. Take UPS for instance, I won’t go anywhere else. If they say the package will arrive on a particular date, it does, and all those pesky customs forms you need to fill out at the post office are done by UPS not me. My customers deserve the best in product, packaging and delivery and so do I.